Do you need to be as flexible as possible and keep your operating system at hand no matter where you are? The KINGSTON DataTraveler Workspace is certified by Microsoft for use with Windows To Go, one of the key features of the new Microsoft Windows 8 Enterprise operating system. This allows you to install the operating system directly on the USB flash drive to create a mobile workspace. 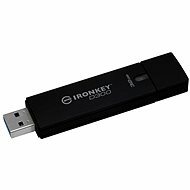 With the latest generation ultra-fast USB 3.0 interface and SSD storage, the transfer speeds are really high. Both read and write speeds of 250MB/sec speak for themselves and the result is an almost instant system start with all settings, comfortable work in multiple applications, and last but not least, lightning fast handling of even the largest volumes of data. This flash drive is already factory configured as a classic hard drive and is ready to work with any hardware certified for use with Microsoft Windows 7 and 8 operating systems. Of course, there is also backward compatibility with USB 2.0, but you can expect much lower transfer rates. 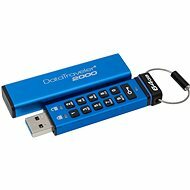 Like all other Kingston products, the DataTraveler flash drive has been carefully tested and has a high level of reliability for the typical business. This is guaranteed with an extraordinarily long five-year warranty. For shipping to other EU countries visit this page Kingston DataTraveler Workspace 128GB. Für Versand nach Deutschland, besuchen Sie bitte Kingston DataTraveler Workspace 128 Gigabyte retail. Chcete doručit zboží do Česka? Prohlédněte si Kingston DataTraveler Workspace 128GB retail. Chcete doručiť tovar na Slovensko? 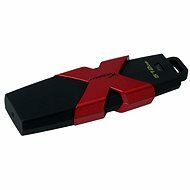 Prezrite si Kingston DataTraveler Workspace 128GB retail. Für Versand nach Österreich, besuchen Sie bitte Kingston DataTraveler Workspace 128 Gigabyte retail. Magyarországra történő kiszállításért tekintse meg ezt a termékoldalt: Kingston DataTraveler Workspace 128GB retail.